Every day you use some of the world’s most advanced technologies to stay in touch with friends and family, perform at work and keep your household organized. Innovation leads the way to new options, and the field of HVAC is no exception. Manufacturers are finding ways to improve system efficiencies and maximize today’s sustainable energy sources. As a consumer, you benefit from these positive changes by having a variety of high-efficiency systems available for your home. And Services is a leading HVAC company that specializes in bringing the latest HVAC advancements to customers in the Tampa area. One of the most surprising changes within the HVAC arena is improvements to how professional technicians maintain your system. And Services uses state-of-the-art diagnostic tools to troubleshoot your system and identify potential problems. We offer comprehensive repair and maintenance services to maximize your household HVAC budget in both energy costs and preventive services. Fortunately for many homeowners in the Tampa area, the tools work well on older systems. By following the latest protocols for HVAC maintenance, we can save you as much as 20% on your utility costs. Smart phones have revolutionized people’s lives by providing easy access to the internet, useful applications and cloud services. “Smart” innovations have also radically changed the way people think about HVAC systems. Your home can now be equipped with sensors to detect temperature levels at various locations. Programmable thermostats and controls save you time and money. Many of these options can also connect to you through your smart phone so that you can monitor and regulate your HVAC system operation. On a larger scale, some of today’s HVAC systems have computers that are as sophisticated as those found in new automobiles. The systems will let you know when you need to schedule maintenance and when critical repairs are needed. You can also find systems that have WiFi connectivity to relay information throughout the day, such as temperature settings and performance indicators. Even the mechanical aspects of HVAC systems have come to the market. Traditional HVAC systems have two settings — on and off. Modern designs, though, include variable-speed blowers. The benefit of variable-speed blowers is that they eliminate the temperature fluctuations that are common with older models. In fact, models that only have two settings can make the indoor temperature up to 10 degrees too high or low. Variable-speed blowers, though, adjust air flow to accommodate your desired temperature when compared to the current indoor air temperature. When you first turn on your heater, for example, the blower will produce higher air flow to warm your home. As the system nears the desired setting, the blower motor reduces the air flow. 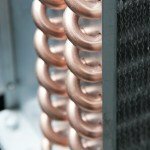 As a leading HVAC contractor in the Tampa area, And Services offers the latest HVAC technologies to our customers. Our technicians receive specialized training as new models, options and controls are brought to the consumer market. You always feel confident about your choice of HVAC company when you work with the professionals of And Services. To learn more about the most recent technologies in HVAC, contact us today!